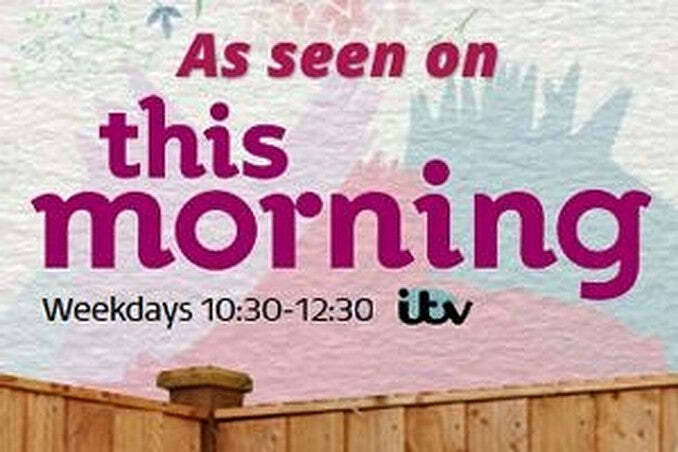 We are proud to announce that we are being featured on ITV’s This Morning! On Wednesday 10th June the popular TV Show, This Morning, will be running a three-day garden makeover feature with the amazing and incredibly talented, Rich Brothers. We will be featured in the show via our 6 x 6 Featheredge Fence Panels that will be replacing the broken and non-existent fence boundary. The idea behind the feature is to show how easy it is to transform a garden when you have the right know-how. The Rich Brothers, Harry and David (pictured above), are award winning Landscape Architects who won a Gold at this year's RHS Chelsea flower Show. They will be taking you through a garden makeover step-by-step over the three day feature giving you lots of expert advice on how to complete your next garden project. We are very excited to see what happened in the makeover and we will look forward to finding out lots of new tips on the way.